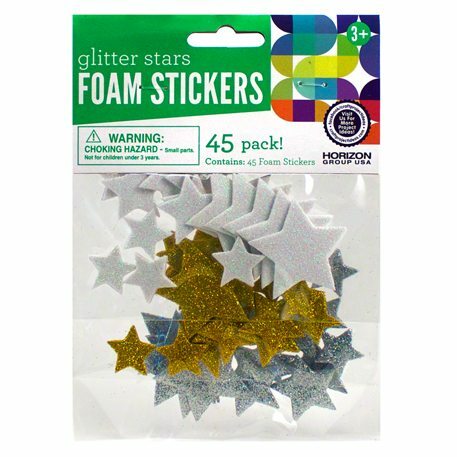 Make your crafts sparkle with glitter foam star stickers. Adhere them to any surface. They are perfect for posters, scrapbooking, card making, sealing, envelopes, personalizing note books, collecting and much more. Easy peel off backing. Package includes 45 foam stickers. Available at Walmart.